A R T & D E S I G N b y c a n d a c e b r e k k e : My new UL website! 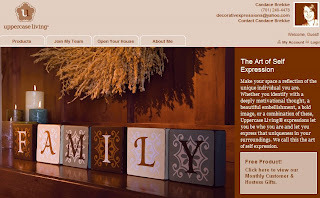 I'm happy to announce my new Uppercase Living Demonstrator website! I'm so glad that Uppercase Living made this available for us! It will be much easier for you to view our wonderful products. You will still need to contact me personally with your order. Enjoy!